After spending a week trying to avoid the stories of him being an out of touch posh boy with no understanding of what the housing crisis means to real people, Minister Murphy announced the launch of the new Land Development Agency on Thursday to almost total derision. That doesn’t sound too bad. What’s the plan? The LDA aims to make surplus public land available to build 150,000 homes over 20 years using funding of up to €1.25bn. 10% of the land will be used for social housing, 30% for affordable, and 60% for private housing. Apparently, it will include land banks at Dundrum Central Mental Hospital, Skerries, Balbriggan, Devoy Barracks in Naas, Dyke Road in Galway, St Kevins in Cork City, Meath Hospital in Dublin 8, and Columb Barricks in Mullingar. None of the homes will be delivered before 2020. 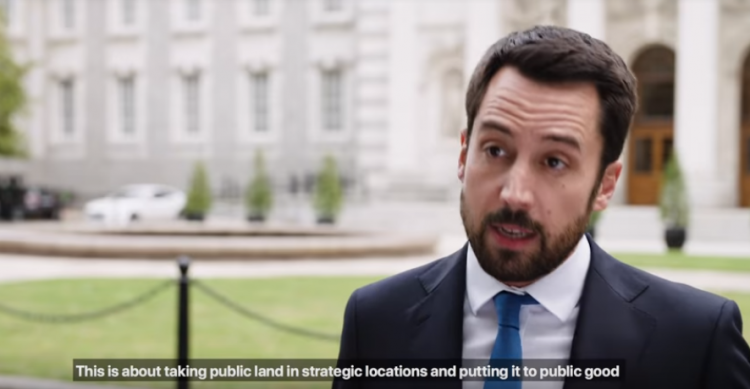 Eoghan Murphy grew up in Dublin 4, went to a school that costs €5,500 a year, and thinks reverse snobbery is a thing – what exactly does he think ‘affordable housing’ means? That doesn’t sound very affordable. Under the Central Bank rules, you’d need to be earning at least €82,000 a year to afford that so no, not particularly affordable. But once you get them you’re safe right? Well … according to housing policy analyst Mel Reynolds 43% of households that bought ‘affordable’ homes during the boom are in arrears so affordable housing hasn’t a great track record for families. But there’ll be some public housing, right? You’re right there. Of what’s currently 100% public land, a whole 10% will be kept for public use. That’s pretty much the same as is currently required of private developers in the Part V regulations. Fun fact: a 2012 review undertaken for the then-Department of the Environment found that between 2002-2011 there was a potential output of 60,000 Part V units but 19,245 were delivered. That same review found that “Part V units are typically not suitable for special needs and the more vulnerable client groups, due to the necessity for the needs of such groups to be factored into account at the design stage”. So this isn’t actually a plan to build homes any time soon, is it? Local authorities currently own land with the capacity for 48,000 dwellings. In 2017 they built all of 780 homes, which in fairness was 247 more than the year before. Right, so this new agency isn’t getting local authorities to build, it’s going to have unaffordable ‘affordable’ housing with a dodgy track record, and will give away a load of public land that we can’t get back. Who exactly is this agency for? This is starting to sound like a NAMA-level disaster. Funny you mention NAMA. The LDA’s interim CEO is John Coleman, former NAMA finance officer. At least Eoghan Murphy has changed the story from him being a posh boy. His granddad robbed Gay Byrne and now Eoghan Murphy is robbing all of us. Short of a huge scheme of building public housing, at this stage, probably mass emigration. We hear Vienna is nice.